This model is 18034 cm and wears a size 32". Their chest measures 1016 cm and the waist 7874 cm. 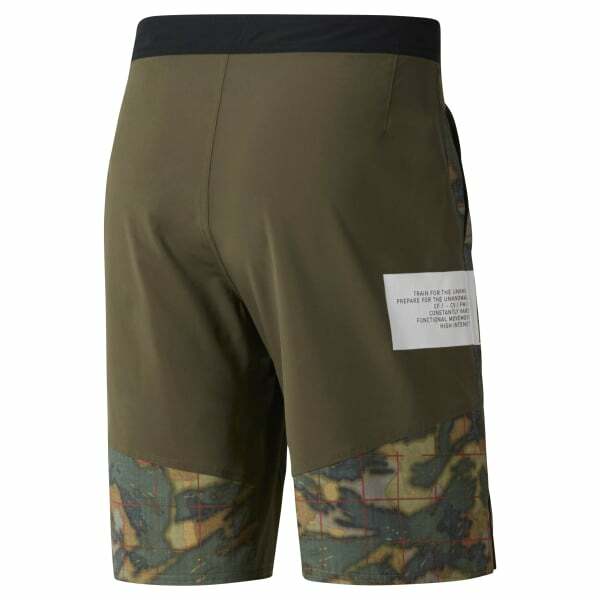 Inspired by California fitness culture, our men's CrossFit Super Nasty Tactical Board Short comes prepped for intense workouts. Tough CORDURA® fabric protects key areas from abrasive equipment during full-throttle action. Built-in water resistance sheds moisture, and the 4-way stretch fabric allows complete mobility. A board short closure customizes the fit, and pockets store your essentials.